Fans of ‘Fortnite Battle Royale’ have reasons to cheer as the popular Royale game Fortnite now can be played on mobile. Presently, the game is available on iOS devices and support for the Android would be made available later this year. The game is open to everyone. It is supported on iPhone SE, iPhone 6S, iPhone 7, iPhone 8 as well as iPhone X. It also can be played on iPad Mini 4/iPad Pro/iPad Air 2 or newer iPad as well. However, it doesn’t support iPhone 6 and 6 Plus, iPad Air, iPad Mini 3. They don’t need any invite to play it; previously beta version of the game was released and needed an invite to play the game. Now you can just download the game from the app store. Fortnite has remained at the forefront as a multiplayer online game. Launched in September 2017, the game has witnessed meteoric upsurge in popularity and sales. The game is a fun and an interesting combination of clever in-game costumes and items. Fortnite is from Epic Games and last week only Epic has added exciting new features to it. Select ‘Fortnite’ from Games menu option. Press on ‘Get Started’ button. A sign up window will be displayed. Enter your first name, last name, display name, email address and password. Check the box to agree with terms and conditions. Then go to ‘Create Account’. Your account will be created immediately. 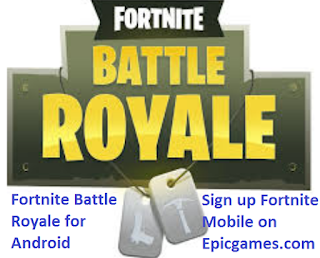 You go to App store on your device and download the game. Once downloaded and installed, you can sign in to your account and play it anytime anywhere. Playes of Fortnite Battle Royale can share their progress across all versions of the game which also includes cosmetic items. iOS users will also receive weekly updates form Epic. It can be downloaded for free which requires 126.6 MB initially and can go up to 3.4 Gigabytes on further downloads.